Today we can proudly announce that Smash Hit VR for the Samsung Gear VR is available for download in the Oculus store. Here at Mediocre we’ve been working on the Smash Hit VR version for quite a while now, and we are really excited about letting all of you get to play the game in fully immersive virtual reality. The premises of the game is the same as before; You travel through a surreal otherworldly dimension, moving in harmony with sound and music… while smashing everything in your path. But now with the added freedom provided by glorious virtual reality. Was very excited to see this today. It plays great in VR! Hoping you include the zen mode from the mobile version in a future update…that would be the best relaxing VR experience ever! Thanks! Such an amazing game, it really is. Are there any ports to Mac/PC in the works? And thanks for the praise! There are no ports of Smash hit for PC or Mac planned. It’s a good news.But where are the new levels !!!! Cool. Is there going to be more levels of smash hit like 12,13,14,15,16???? We are currently working on a Smash Hit update, but it’s a bit early for us to give any further details. I have loved Smash Hit for the longest time. Nothing has moved my creative mind like this game has. I’m a jewellery student and I had some really insightful and humbling questions to ask you guys at Mediocre, would you possibly be able to answer them for me if I emailed you guy today. Would truly be so thankful ! We’re glad to hear that you love Smash Hit. Please send your email, and we’ll do our best answering your questions. When I read that you guys were working on a VR version I almost wet my pants! PPS: I hope someday we are not limited to samsung platform (I read that their vr only works with their own stuff), because they are too Big Brother with their version of android. We have no plans for any generic Smash Hit VR version. The GearVR works so very well compared to other generic mobile VR solutions. Please make an android(cardboard) version. Hopeful. Thanks for the praise! The fly through mode is a neat idea, but at the moment we have no plans for any such major updates. So cool and nice game. I like it very much i will recommend my friend to see this for sure . Thanks for sharing this. We’re happy to hear you like our posts. Love this game. Stuck on level 11. Just watched the video on how to play. How do I get the rapid fire in my play? I have never seen or have had it. Thank you! We’re happy to hear you like the game. About the rapid fire, it’s a green power up that you can pick up at some places in some levels. I love playing Smash Hit on Gear VR! it’s one of my favorite games on this platform. That being said, there is a problem that has surfaced on some forums, and I have been experiencing it for a week now. I’ve reached level 11, and when I go to play the game I’m now experiencing a lot of stuttering. I have plenty of memory, gave shut off all running apps, restarted device, etc., and it keeps stuttering throughout the game. As I stated earlier, there are others reporting this same issue. No other apps or games are affected, just Smash Hit. Is there a planned update to fix this ? Sorry to hear you are experiencing performance issues with Smash Hit VR. Unfortunately the technical requirements of VR makes it difficult to reach the same performance as in the mobile version of the game. At the moment we see no immediate solutions to the performance issues, and are not planning a Smash Hit VR update. Great game! I enjoyed playing this on the Gar VR. I don’t currently own one, I was just trying out someone else’s. Do you have any plans to release the VR version as perhaps a standalone APK or an update to the current app? It would be amazing to play using Google Cardboard or other cheaper mobile headsets. Great to hear that you enjoyed Smash Hit VR on The Gear VR! I’m sorry to say that we have no plans to release Smash Hit VR on any other platforms or as a standalone APK. We are really pushing the limits of what can be done on the Gear VR, and we feel that the Google Cardboard is not currently matching the performance we would like to see for a good VR experience. We are however keeping an eye on the development of Cardboard, and are not against releasing on it (or other platforms) per se. Where can I get the apk? I cant find it anywhere and the excitement is killing me! You can download Smash Hit VR from the Oculus store from within the Gear VR. I know you said “There are no ports of Smash hit for PC or Mac planned”, but PLEASE change your mind. We are currently working on our next game which we are very excited about. Taking the time to port Smash Hit to PC/Mac or any other platform would effectively halt the development of the new game for a number of months. Being a small team we need to focus real hard on where to spend our time, and at the moment the development of our new game is the most reasonable decision. Is that new game dirac?? If so, please do the ports for at least PC, or Mac. Lols, one day, right? Fantastic game, one I keep coming back to. Looking forward to what you produce in future! I would love a tutorial on how to set this up. If you have a Gear VR it should work just like any other Gear VR title. Just tried smash hit for the first time on any platform…what an awesome game, especially in vr! We’re hard at work with something super exciting at the moment. Have a look and tell us what you think! How do you get thru Level 5.?? Congratulation Mediocre Team.SmashHit has 50000000 downloads in the PlayStore Android. Please add new Levels and mods.SmashHit VR it’s a good idea.Thanks You. I hope to see new levels and mods to SmashHit.This is incredible SmashHit Have 50000000 downloads in android only!!!! !But what about iOS.I like the idea about a secret Levels to SmashHit.Please don’t forget to add New levels and other mods to SmashHit.Thans You MEDIOCRE TEAM. SmashHit VR is a good idea but what about add new Levels and Mods to SmashHit.We are very exited for this.I hope you add new Levels and Mods to SmashHit.And Congratulation for 50000000 Downloads of SmashHit Game in Android only. I Love Smash hit, just cant figure out how to get through Level 5.
you have to be careful and i can’t pass checkpoint 10 . I have watch other people play ending mode it just like playing forever. Looks like an amazing experience. It also seems like the game will be easier in this mode… although I’m sure you’ll find a way to adjust that I’m a big fan of your games. Keep doing what you do! What would be an approximate release date? PS This trailer looks incredible. Are they new levels and mods to SmashHit??? Hello.Please if I want to talk about a bug in SmashHit.How can I do this??? Smash hit more levels!!!! I like Smash Hit a lot!!!! When I get the Ocullus Rift, The master of Smash Hit will be more excited than the iPad version! When will the update come for the game smash hit???? Hello, Mediocre team. Now Smash hit VR is a new mode, a new level, an update or a sequel of smash hit? Hope for the reply. Item do not work on samsung core 2. I’m excited for the VR update for the game smash hit!!!! I wonder when it will come? What’s new ?? ?.When the game release??? We can gladly inform you that Smash Hit VR was just released for the Samsung Gear VR in the Oculus store. Just got the Gear VR. Your game is highly addictive. and so very extremely well done… Thank you for all your efforts. Please make addons etc so I can give you money to support. Maybe you could try a procedural level construction design? Then it would be endless thanks again. Amazing news, everybody! 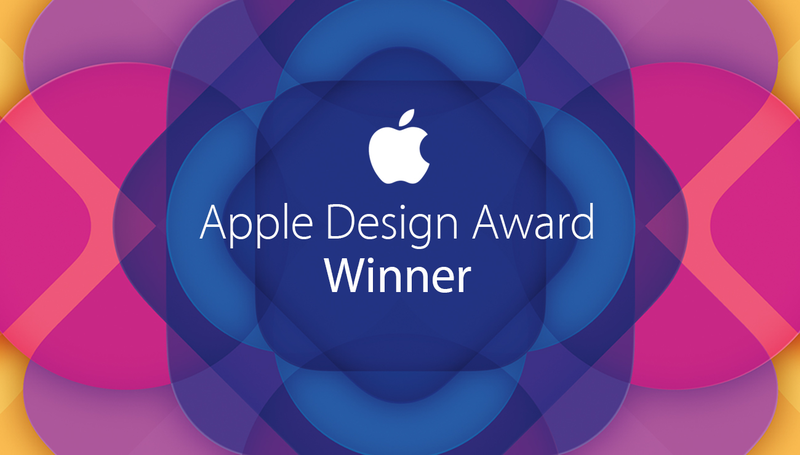 Our latest game Does not Commute has won an Apple Design Award over at the Apple Worldwide Developer Conference in San Francisco this week! We’re so excited and humbled to receive this prestigious award, it’s one of the biggest awards there is for games and apps. Huge thanks! 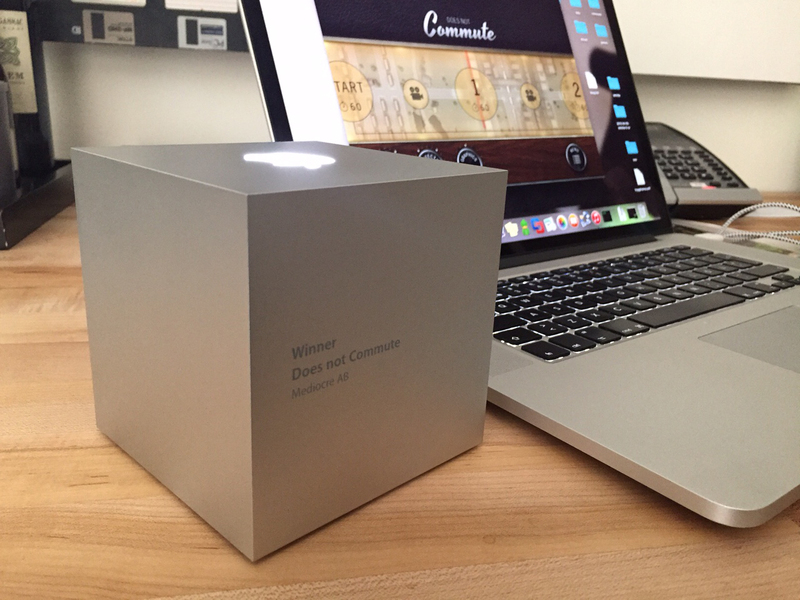 To check out the full list of all winners and some photos from our office, please head to Apple’s awards page. Below is a photo of the stylish prize itself. Hello MEDIOCRE TEAM. I congratulate you for your huge work to create a good design to this game.But I want to know about your new projet.Like new update to Smash Hit because the last huge update was released in 10 July 2014,and Like many players,I hope see the next huge update to smash hit include new levels and mods this year.Does not Commute is a excellent game, but Smash hit is first best MEDIOCRE TEAM game.I want to see your reply Please.Thanks YOU. I can get through the door between the level 9 and the level 10 without open and without losing ball.And Please Add New levels to Smash Hit.I think all the players of Does not commute and Smash Hit want new levels and mods to Smash hit.We want to see the version 1.4 ; 1.5 ; 1.6 or the version 2.0 of smash hit.I hope you share new update to Smash Hit. Thanks you.Cheers. All player of Smash Hit and Does not Commute. Hello Eduardo, I’m happy to hear you like our game! If you’ve found a bug please send an email to: support @ mediocre . se (without the blank spaces), and describe the bug as detailed as possible. Right now we don’t have any plans for new Smash Hit levels. We’ll let you know if anything changes regarding this. We thank you for your understanding Cheers, the Mediocre Team. After 2 months of practice, I finally complete the level 8 of Does Not Commute and beaten it with 8.5 seconds left. I think this game could also add a new level called “space”. I haven’t bought it before, as the Sprinkle series,Granny Smith and Smash Hit. Also a gorgerus game, I think. Hello.My email account is doesn’t work.Please how Can I describe the bug of Smashhit.Can I send a video about the Bug. If Yes of can I do that.Thanks You. Best game ever, hands down. Big fan of time travel paradoxes and driving, this game combines it all together with wonderful, balanced gameplay, delightful music, and a captivating storyline. You guys deserved it. Good job. I’ll be seeing you soon. Hello.I am disappointed about the updates of game Smash Hit. Now we are all looking forward to seeing the update. Last update is on September 2nd,2014 and it is 10 months ago, and a mode of smash hit could equal a new game. It seems you stops updating old games since the next game is released. Hoping for a reply. Well done guys! A really great and original game – one of the best I’ve seen on the AppStore! Does not Commute Out Now! Our new game “Does Not Commute” is finally out on the App Store and Google Play! The game is free to download, so give it a try and tell us in the comments what you think! Does not Commute is a temporal paradox in which you have no one to blame but yourself. What starts out as a relaxing commute in a small town of the 1970′s quickly devolves into traffic chaos with hot dog trucks, sports cars, school buses and dozens of other vehicles. You drive them all. Plan ahead. Don’t be late. This game is just incredible (as usual:-) ). Beautiful and makes us think too. Thanks a lot for that. My family has all your games, and this one does not disappoint either. The music is just fantastic too. How do you control the cars. Looking for how to play. Awesome game, please please add support for android tv! And now MEDIOCRE TEAM.You can share more update to smash hit game = ADD MORE LEVELS AND MODS + Fix all the bugs Please answer me. “Does not Commute” game is fantastic ,smash hit also!!! More levels of smash hit in the next update. Smash it will be funner if there is more levels? I love smash hit.It’s the best game! !Please more levels and mods. More levels for smash hit? Hi, I’m really enjoying ‘Does Not Commute’. One question: can each level can be completed with the bonus time from the exit of the previous level? e.g. when you leave a level you get might get 40 seconds on the road out, can the next level be finished with that amount, was it planned that way? Thanks. Commute is my new favorite game, well done! Very unique, never saw anything like this. Storyline is creative, and music is incredible. Can’t wait to see all the new features that are in store of future updates! Hello,Mediocre Team.Please we want more more levels and mods to add to SMASH HIT.Thanks you. Very well thought out game, creative storyline, unique concept. I never saw anything like this! Hello mediocre TEAM.I just discovred your new game and it’s fantastic but I want to Know Of you use XCode to creat this game.If no what is the principal tool.and what is the language.Thanks You. Smash hit update will more levels smash hit is a fun game and soooooo fun to play it!!!!!!!!! So much I want to buy this game on iPad, but I’m getting a ‘Cannot purchase’ error, following with ‘could not connect to iTunes store’ message. My ‘purchaseability’ is fine in iTunes, though. Tried reinstalling, restarting, re logging to account. Still cannot buy it. Hi there! If the problem persists, please contact our support over at: support@mediocre.se and we’ll do our best to help out. Thanks! Please please please mediocre team Smash hit is the first Best game of Mediocre and Does not commute is the second best game of Mediocre.We Want new levels and mods to smashhit please.I hope you understand our request.Thanks you. Truly amazing game. The physics is so real and the graphics is stunning. How is it even possible to run this on my phone!? It’s smooth as silk. Would love to hear you talk about how you made this game. Hello,Does not commute is a perfect and good game.But When the new levels of smash hit come out.Please.Thanks You. Please MEDIOCRE TEAM.Can you creat new levels and mods to smash hit.We are exited for this. I would Love more levels for Does not commute. Those 7 ain’t enough, The game is too good!!!! Hello MEDIOCRE TEAM.I have an idea for new levels for smash hit!!! You can make a levels 12 & 13 attached with the same graphic style like a long level to add more challenge to this game.The color of graphic can be yellow.For level 14 you can make a door with the glass to make the level hard.You can add also new mod like an extrem mod:Crash = lose 20 balls.Hit crystal = 2 extra balls.And more.Thanks you.Good idea? ?Can you make new levels or mods to smash hit??? I’ve got an idea for a new mode. It’s called “win or go home”.Lots of crystals will appear, and if you hit it you win 4 balls or lose 7 balls. Is there New idea for another game??? I think every fan of Mediocre loves this game. However,Smash hit is more exciting and beautiful. Like many players, I hope to see the level 12 and more. I’m so sad to hear you’ve stopped updating Smash hit. Please Please PLEASE!! and all my cars run well. But what does the wood board after the 2nd checkpoint? Does it make cars jump over the river and land on the another coast? I recently got this new game and have been trying it out before I upgrade to premium. One thing I’ve enjoyed doing is replaying the levels to make new funny versions to watch on the replay however the replay for each level seems to only show the first time I played the level. Is this something that changes when I upgrade to premium or is this a consistent feature? Hello Mediocre Team,could show some of the OST of does not commute? Great game! I would love to see that game as a multiplayer-game. I love DNC! I’ve been playing it for over a year, since soon after it came out. I’m feeling guilty for paying, was it $2.99?, and playing for a year, every day, for hours. Can I send you some more money? I’ve been wondering what the developers think about the scores people have achieved. The best non-hacked final score on Apple’s Game Center that I am aware of is 459. How are “we” doing? Are we scoring higher than you expected, or lower, or about right? What do you think about the proportion who have completed level 8? And thank you for your very kind words. If you would like to support us, please take a look at our other games. There might be something else you like. That’s a whole bunch of interesting questions which I don’t have a proper answer to at the moment. But we will consider maybe writing a blog post about those topics in the future. Stay tuned! Does Not Commute Release Trailer! Watch the new release trailer for our upcoming mobile game “Does Not Commute”! The game is set to release next week and is a strategic driving game. Share the video with your friends and tell us in the comments what you think! Follow us on Twitter and Instagram for more instant updates about our games. This is a good news! This game are free or paid? Free or paid for the app? Hello Mediocre Team.I discovred a little bug in smash hit.The problem is the problem is I can go through the door to get to level 10 without opening.please fix them. Please about the bug please.Want answer.Thanks You. Hello! I’m sorry for the inconvenience. Please drop us an email to: support@mediocre.se and we’ll have a look at this as soon as possible. Thank you! What is the music during the game “Does not commute” ? I love the game but I just got a gift card and bought the premium pack.IT DID NOT WORK AND IT WAS STULL PAID FOR! Don’t buy the premium pack!